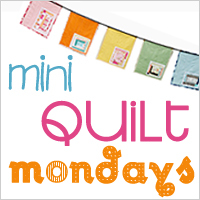 Faith at Fresh Lemons is having a great series of Mini Quilt Mondays, all through September. 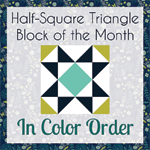 I think it's a great way to showcase a favorite technique without committing to an entire quilt. 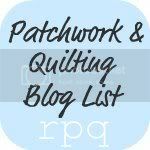 I'm also excited to get inspired by all the great mini quilts I see before we all go to Sewing Summit and take Amanda's class on Packing Mini's with Punch. So excited! While this amazing little mini belongs to me, I definitely did not make it. I was lucky enough to receive it in the recent Urban Home Goods swap from my amazing, awesome, fantastic, thoughtful partner, Crystal. It was meant to be, as I spied it in the Flickr pool and favorited it right away. I about had a heart attack when I opened my package and saw it was actually mine! I think she did a great job of laying out all the little squares, fussy cutting some special prints, and then adding the special quote in the center with hand embroidery. 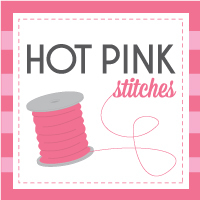 It now hangs as the showpiece in my sewing room. 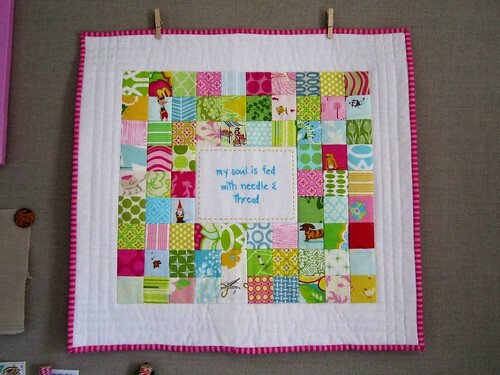 I love that Elena, the quilting is so pretty. It looks nice and fluffy. :) Lucky you! love the quote, you are one lucky partner! That is adorable. Lucky you Elena!